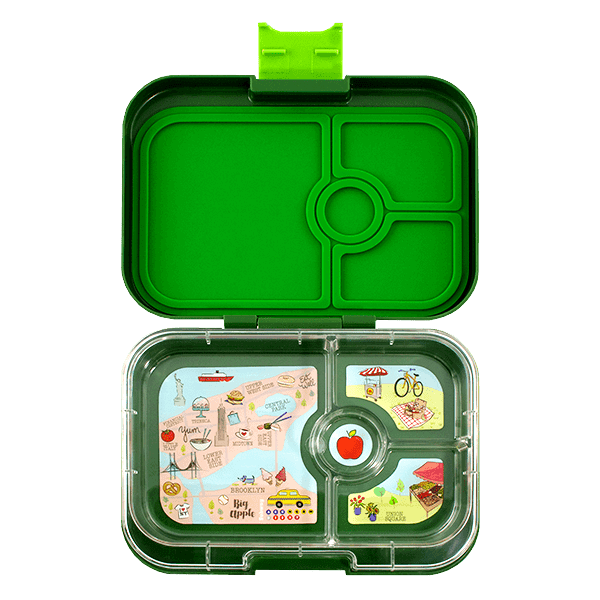 Our favourite lunchbox the Yumbox Panino is super versatile and can hold a full sandwich, leakproof and simply awesome! It helps you to pack lunch! 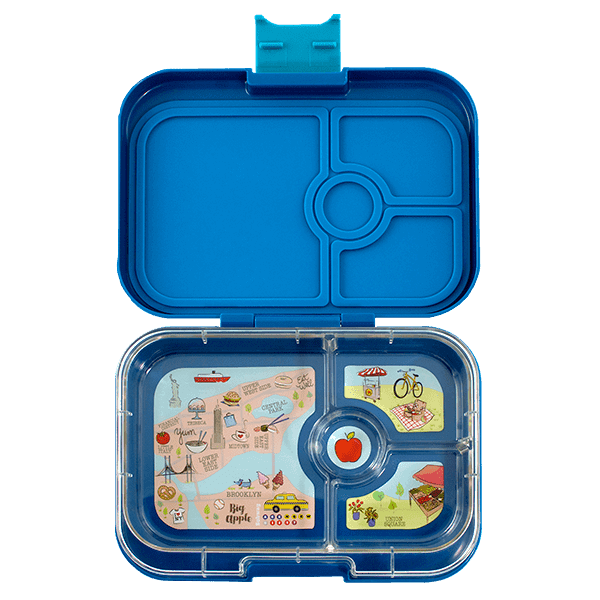 We love Yumboxes, they are what we use most days and the Panino Yumbox (4 compartment) has been one of our favourite lunchboxes since I started packing lunchboxes for preschool over 4 years ago. 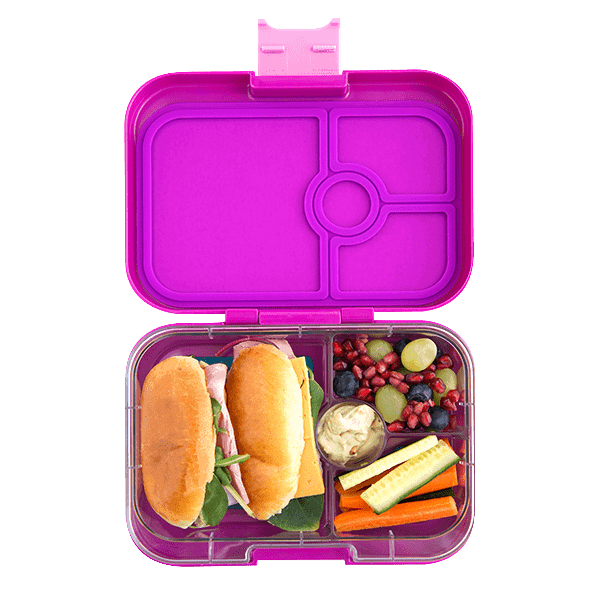 The Panino is perfect for kids who like a sandwich for lunch, with the perfect sized extra compartments to fit a variety of fruits, vegetables and mini muffins. The treat hole is perfect for dips, blueberries, sultanas and many other options. Yumbox is leakproof! You can safely pack wet (not watery) foods like yoghurt, apple sauce, mayonnaise without transference between compartments. No more lost lids! The yumbox lid is in one piece. Ergonomically designed, kid-friendly latch (that’s easy to use even for a 3 year old!). Each portion in the box is 1/2 cup with a small treat hole. Use the illustrations to pack the perfect amount of everything. Recommended for young kids (toddler to age 8). Closed it is 21.5 x 15.5 x 5.0 cm when empty it weighs 505g. 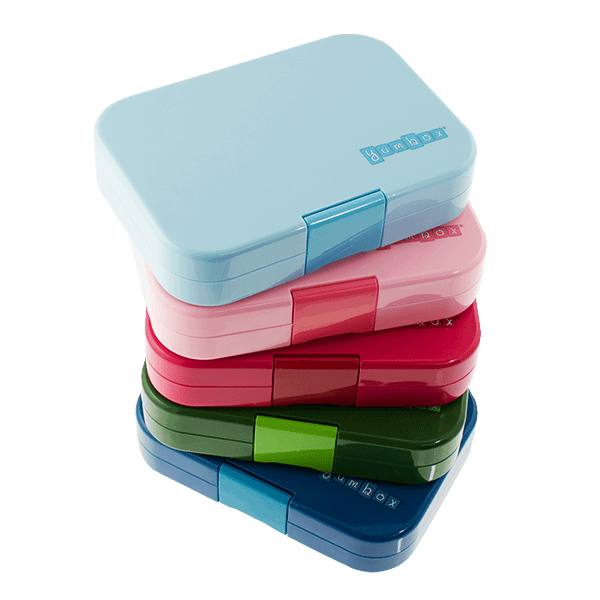 Perfect for packet free healthy and fun preschool and school lunches.